Love Plex? You’ll love a Plex Pass even more. Plex Pass gets you new features, earlier than everyone else – and exclusive features only available to Plex Pass holders. If you love your home media centre as much as I do, you’ll wonder how you ever lived without it. Read on to find out more about the premium Plex experience – and we’ve got four lifetime Plex Pass licences (worth a total of $600) to give away! It’s beautiful. With DVD covers and movie posters, metadata, and more – Plex just looks fantastic. Doesn’t require lengthy setup. There’s a number of complex ways to gather metadata and posters for media, but it usually requires an obscure naming scheme to be in place first; Plex does it all automatically. You don’t need to sit there and tediously rename every file just so it conforms to a particular scraper format. Just put the files in your server folder. Runs everywhere. Windows, Mac, web-based, and mobile clients – they’ve got your covered. The server choices are a little more limited, but that’s just where your media is actually stored. 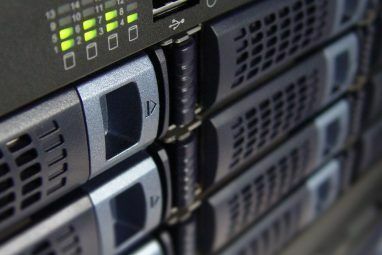 The server transcodes media on the fly, so your client always sees an optimal version of it. Tracks playback. Want to finish watching that movie in bed? No problem: pick up where you left off on your tablet. Quickly find unwatched, recently added or currently watching media. Plex It online media queuing. As you browse the web, a simple bookmarklet will let you queue up a media item (such as from YouTube or Vimeo) on your server for watching later. DLNA compatible. 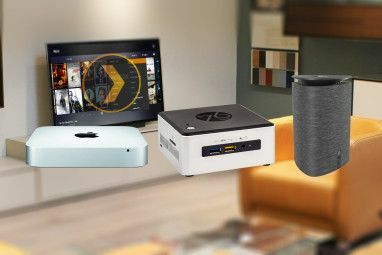 On the rare occasion that Plex isn’t available for your platform – like a Blu-ray player or older “smart TV” – Plex offers full compatibility with DLNA home streaming protocol. Remote streaming. Not at home? No worries – with a little router setup How to Access Your Plex Library From a Remote Computer How to Access Your Plex Library From a Remote Computer Plex is the best media center around, but did you know you can also access your Plex library remotely? This guide shows you how. Read More , you can view all your media on the go. With all this available for free, you’d be forgiven for wondering what features a premium Plex Pass can get you. Let’s talk about what’s currently on offer – but remember, more features are being worked on all the time, and as a Plex Pass holder you’ll get priority access to them. Plex for Xbox One is the newest release from the Plex team, and for the time being, is only available to Plex Pass holders exclusively. 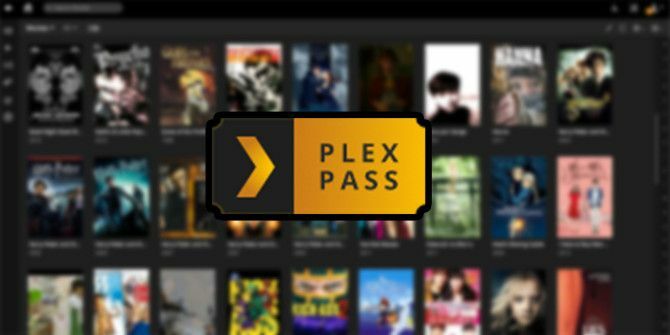 At some point, it’ll be made available to the general public, but at a price – Plex Pass holders generally get these new versions for free, ahead of everyone of everyone else. They’re also currently offered preview versions of Windows 8.1 and Windows Phone 8 versions. Want Plex on your Xbox One? You’ll want a Plex Pass then! For Roku or Android owners, Plex Pass entitles you to free versions of the paid apps. The true home cinema experience means having some trailers before movies – with a Plex Pass, you can do that. Simon showed you before how to manually add trailers for movies Get Even Closer To The Cinema Experience With Plex Movie Trailers Get Even Closer To The Cinema Experience With Plex Movie Trailers The cross-platform media server Plex now supports movie trailers and extras. We show you how to add those clips to your movie library. Read More you already have, but the Plex Pass trailers experience means it’s done automatically, and you can view trailers for upcoming releases too. Setting the trailers feature isn’t quite as easy as I’d like, but hopefully they’ll streamline the process. Firstly, trailers need to enabled both on the server, and on each device you use as a client. To enable them for the web app, for example, this means updating both Settings -> Servers -> Extras and Settings -> Player -> Extras. You also need to ensure that the Freebase movie agent is enabled – make sure you follow the support document outline precisely. It was this last crucial step of enabling Freebase as an additional “agent” for movie info which finally enabled trailers for me. Eventually, I did did get trailers to play, and they’re as awesome as expected – a true cinema-like experience. It made me realised how much I missed them as a method of movie discovery, and having them automatically injected into the home cinema experience is a stunning addition. Extras such as interviews and cast profiles are also automatically sought out for local media, though these tend to only be available for the very newest releases. A new feature for mobile users, Camera Upload automatically adds your mobile photos to the Plex Media Server – and works across platforms. Combined with shared user access, this makes it easy to view photos on any device and distribute them to friends and family. Although Apple offers similar functionality with shared folders, it requires everyone to buy into the Apple ecosystem exclusively: Plex works with iOS and Android- and the Plex client is available on practically anything. Plex is designed for streaming media to any device simply – it automatically transcodes items to an optimised, compatible format. But mobile data coverage is far from perfect, and you don’t always have a web connection – that’s where Plex Sync comes in. Plex Sync transcodes, then downloads the optimized media to your device for offline playback. Perfect for commutes and long journeys. Using it couldn’t be simpler: from your mobile client, find the movie you want synced (before you set off off your epic adventure), and hit the download button. You will of course need to make sure to have enough space available locally, but you can set a limit so you don’t accidentally fill your entire device’s storage. Cloud Sync is similar, but designed for times when your home server is inaccessible but another cloud provider is fine; it doesn’t sync locally, but it does prepare a copy of the media and sync it to somewhere else – Box, Copy, Google Drive and Dropbox are currently supported. The home environment is usually not a single user one, so it’s surprising that most systems are still set up as such. With a Plex Pass, you can give multiple users access to specific media libraries – useful to restrict children’s viewing to only your educational video library perhaps; or for sharing photos with the family. Of course, this needn’t be in the same home either – you can share specific libraries with friends or family across the country, which they can even view using a web client – so you can basically make your own personalised and super-powered Netflix. Setting this up is absurdly easy. From the web interface, select your server and select Share Server. Type in their username or email address, and you’ll probably want to deselect the share all libraries option, which will allow you to choose specific libraries only to share. Hit save and you’re done! They’ll also need to accept the invitation, of course, but they’ll be emailed an invite automatically. Note: the default server behaviour is to make everything available on the local network – so if you’re trying to restrict libraries to different members of the same household, you’ll need to enable local network authentication first. Do this from the Plex web app -> Settings -> Server -> Connect -> Show Advanced. The best value Plex Pass is a lifetime subscription, available for $149 – but it’s only going to be available for a limited time. You can also subscribe yearly for $39.99, or monthly for $4.99 – sign up for a Plex Pass premium! It’s a small price to pay if you’re serious about your media experience and wish to support the developers of the best media center app, ever. We’ve got FOUR lifetime Plex Passes to give away, worth a total of $600 – enter below for your chance to win one! Explore more about: MakeUseOf Giveaway, Media Player, Media Server, Plex. 5 Sites and Apps to Find Movies & TV Shows to Watch on NetflixBattle of the Smart Home Hubs: What’s Out There and What’s Coming? Winning this would open up a whole new world for me! Don't pay any money for this. Once they have your money you will get access to the PlexPass only section of their support forum and realise how many problems the paid for features have. You will also notice the complete lack of support given to those who have paid. Stick with another free solution or something that at least provides support in exchange for the fees. Looking in to PLEX PASS PREMIUM to see if interface makes it easier to search for my films via MAC computer, iOS iPad and iPhone, and Roku. Each interface is slightly different, and I've played with PLAYLISTS. Still learning.... Thank you! Not sure if I should take the premium plunge yet. Would love to try it out! I barely tried Flex before, but after reading this article I'll be diving into much more aggressively. Winning a lifetime pass would certainly be incentive. I love PLEX and use it often. I would LOVE a PLEX pass so I can finally stream to my Xboxand I would love to have cloud access to my media as well. Fingers crossed!!!! I would love to win the plex pass premium. Thanks for the chance to win. Wow! Plex looks great! I definetely would love one of these lifetime subscriptions. Sign me up! I've had a Plex Pass for a good long time and here's the thing: It's not THAT interesting in and of itself. My Plex experience really isn't any better with movie trailers or theme music. I already have local access to the source media files, so sync really does nothing for me (it might if I had one of those terrible fruit devices that are such a hassle to copy media to, but I use decent devices instead). I like that I finally got an activity monitor so that I can see who is accessing my shared libraries on which server, but I'm not in any danger of running out hardware resources or bandwidth, so that really just satisfied idle curiosity on my part. The big reason to buy a Plexpass or to pay for the Plex apps is to support what the Plex devs are doing. Which is amazing work, especially since the core of the whole ecosystem, the Plex Media Server, plus all the tools for content scraping and the web apps and login system are completely free even for the people who never use anything but the web version. Not really. If you're prepared to put the effort into learning how to install plugins or running your media through third party title formatting first, and thrid party meta fetching apps - then sure, it can be better. Until it breaks again. I've been using Plex for a couple of years and I even introduced it to my parents and they love love it. I;ve been making due with the free subscription but I sure would love one of these lifetime subscriptions. Sign me up!!! I would love a Plex Pass Premium. I already use Plex and I don't have cable so this is really one of the greatest assets anyone could have. Regardless, thanks for the information. A lot of this stuff I had no idea about.